I’m always curious about what lands a book on readers’ “favorites” lists. 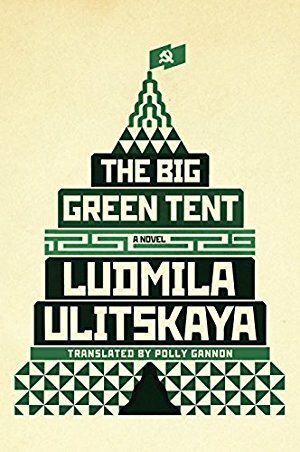 What compels my fellow readers to name a book the best thing they read in a whole year? Before we kicked off this year’s Reading Challenge, we asked thousands of readers to tell us what they loved, and why they loved it. Our goal for the challenge is to help YOU get more out of your reading life, and we relied on this information to shape the challenge and its categories. As we sifted through the data, I noticed something unexpected: a huge percentage of our English-speaking readers chose a book in translation—that is, any book that wasn’t originally written in their native language—as their best of the year. 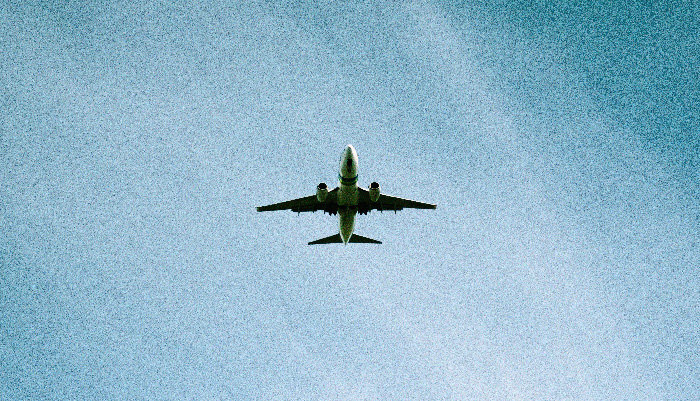 Fiction—and to a lesser extent, nonfiction—helps us empathize with and understand other people and cultures. 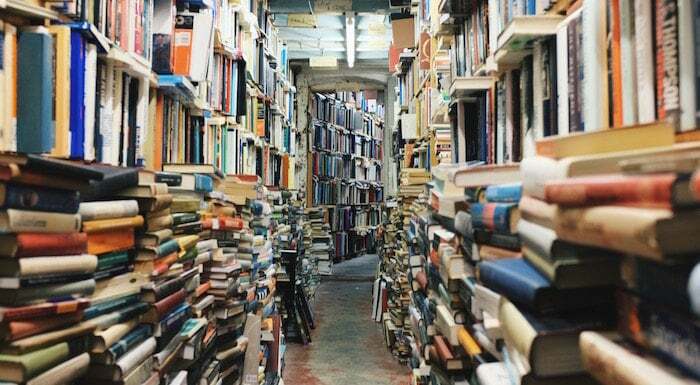 When we read only books written in our own language, we miss a crucial opportunity. Today, I’m sharing 20 books—some old, some new—that were originally written in a language other than English. Some are your favorites, some are my favorites, some are on my reading list. This list of 20 titles is meant to get you thinking, but there are literally thousands of titles to choose from. Get your TBR list ready, and share your favorites you’ve already read or the books in translation you’re planning on reading this year in comments. P.S. Get more details on the Reading Challenge, or sign up to get your free downloadable Reading Challenge Kit. 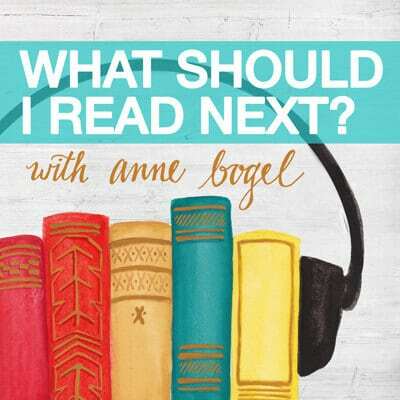 Want more reading ideas? View the MMD Book List archives right here. I adored 1Q84 (and I normally run away from long books)…and your friend’s quote about it is perfect! I also love Herman Koch for translations…The Dinner is my favorite. Another translation I loved = Based on a True Story by Delphine de Vigan. Psychologically tense story about a friendship that becomes something sinister. I had absolutely no idea Inkheart was a translation! I devoured that series and plan to go back and reread sometime soon. I’m counting down until the Beartown sequel is released too. He’s created a masterpiece with that town. I’m so glad that the Pevear and Volokhonsky translation of War & Peace is on this list! All their translations are very, very good. 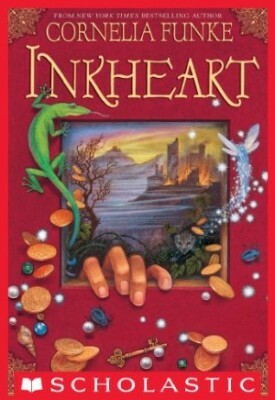 Also, I must re-read Inkheart. I, too, had no idea it was translated from German, and I wonder if I missed anything from lacking that knowledge… A very good list! LOVE this post. ‘The Shadow of the Wind’ is on my all-time favorites list, and this year, I read ‘The Great Passage’ by Shion Muira (translated by Juliet Winters Carpenter). This is a great book for people who love books about books and the love of language. This is a very sweet book that speaks lovingly of the power of words and the emotions behind them. Not much happens—a group of people work for more than a decade on a new dictionary called The Great Passage—but everything happens: people fall in love, live and die, feel things, question themselves and others, succeed and fail. Just when it seems like it might get too precious, there’s a touch of sarcastic humor that makes the characters seem more real. I also really enjoyed the food descriptions that added a richness to the story without drawing undue attention to themselves. I loved In Search of Lost Time by Proust. Even in translation, it took me three years to read all the tomes. Delicious, every word. 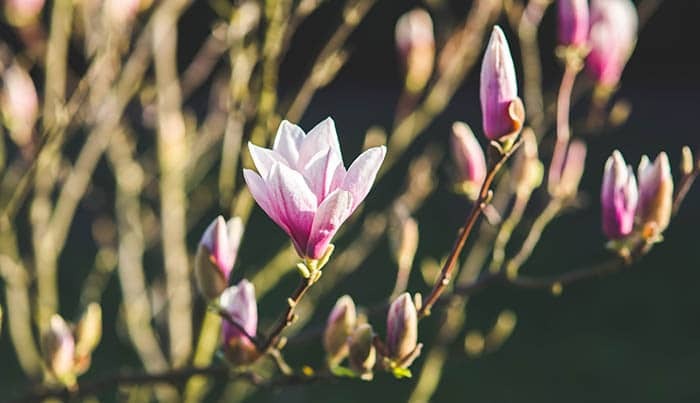 It is wonderful to read in the original language–cultures don’t set up sentences in the same way, and those little quirks add to the experience. But who is adequately at ease in so many languages? Even French, which I’ve spoken daily for 20 years, is more work than pleasure for me to read. A good translation is art in and of itself. I also didn’t realize Inkheart was a translation. May have to read it again. I devoured The Elegance of the Hedgehog. My commonplace book received many new entries — entire passages, in fact. Move it to the top of your TBR list. 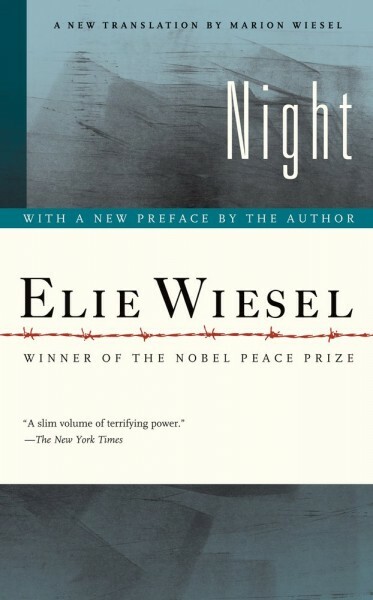 I enjoy WW2 books, so I’m interested in The Time In Between; thanks for the suggestion! 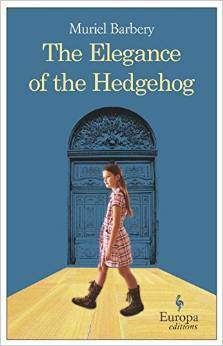 Loved, LOVED The Elegance of the Hedgehog — one of the books I am so grateful my book club read as I might not have on my own. I already read The Interior Castle for this category but am also hoping to start Kristen Lavransdatter later this year. I recently read “Out” by Natsuo Kirino. It’s not for the faint of heart but is one of the best suspense/thriller books I’ve read in a while. I’m sick to death of all the “Gone Girl”-type books out there so this was a welcome change. I feel like there’s a much higher percent of translated books written in present tense vs most originally English books being in past tense. I find myself mentally trying to rephrase everything in past tense – it’s hard to enjoy a book that way. 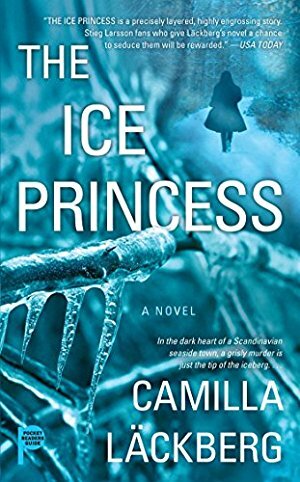 I’m currently (slowly) working on Kristin Lavransdatter and I just requested Inkheart and The Ice Princess from the library. 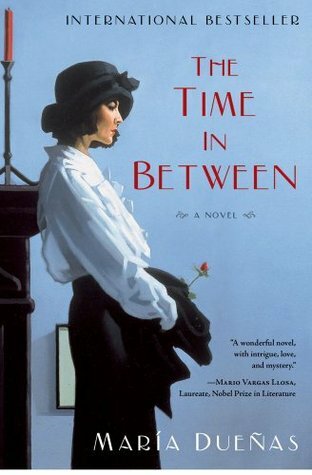 I have “The Time In Between” in my TBR pile. 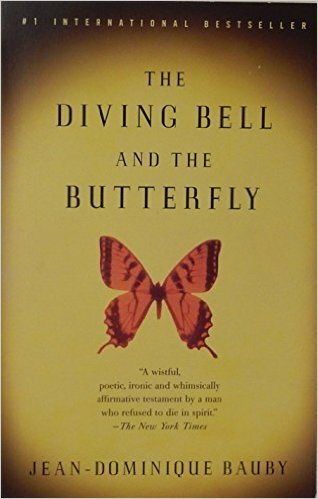 One of my favorite books in translation is “The Reason I Jump (the inner voice of a thirteenth year old boy with autism)” by Naomi Higashida. 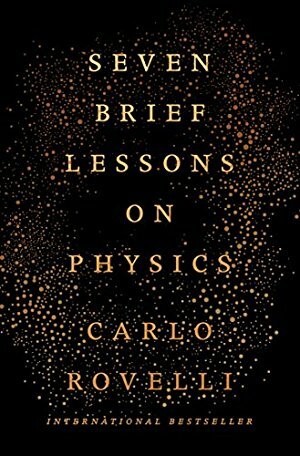 Very quick and enlightening read. 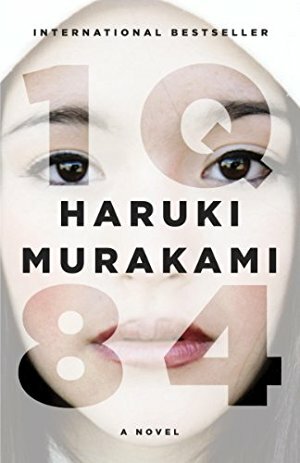 1Q84 was one of the weirdest books I’ve ever read, but it was so oddly compelling–I couldn’t put it down. I also want to read Murakami’s The Wind-Up Bird Chronicles. 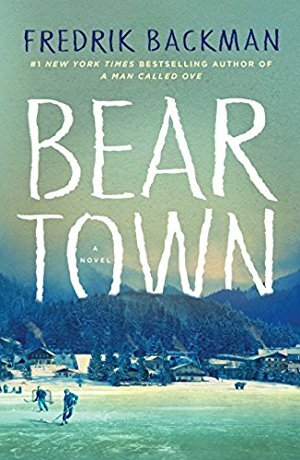 Beartown was excellent; I’m really looking forward to the sequel! I’m Brazilian and my native language is Portuguese but I read a lot in English. Because of this category in the Reading Challenge I realized I haven’t read any books by Brazilian authors… I read lots of books in translation tho. 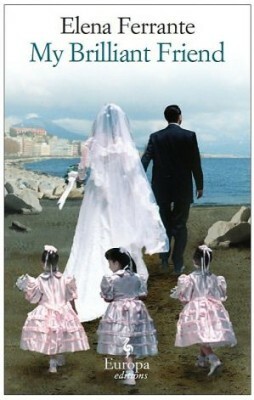 I read almost all of Elena Ferrante’s books last year and even when I read in English I read books in translation (for example, ‘A man called Ove’). 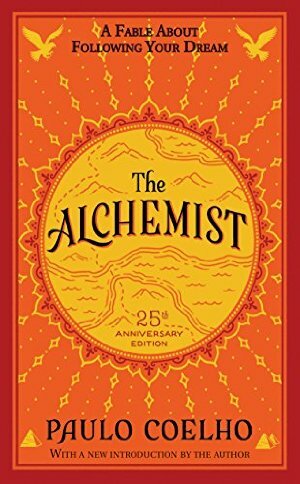 And just so you know, I have never read ‘The Alchemist’ by Paulo Coelho – probably the most famous and successful Brazilian author ever. 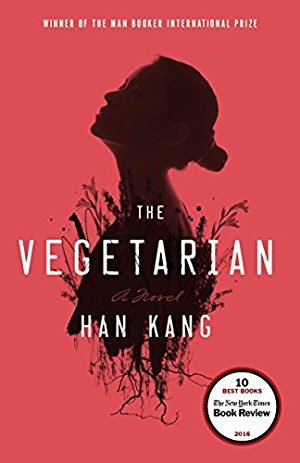 All of the books sound interesting but one which I read was a miserable ugly experience: The Vegetarian. Our entire book club found it miserable and we only slogged through because it was our first book and we all felt obligated. Now I do have to say that given the short blurb our hostess found about the book I was expecting an English comedy of manners (yeah: I was SO wrong). But we were all unhappy about it when we finished. I know some folks like this type of book but I really don’t understand why. The Little Paris Bookshop by Nina George is also a translation from the German (“Das Lavendelzimmer”). 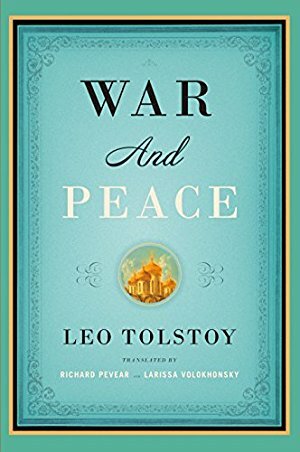 You are going to think I am bonkers but I want to tell you something that made a difference for me when I recently read War and Peace. I originally ordered the translation you pictured because I had also read it was a good translation. But….The paper did not feel good. Rough in texture, very lightweight, Really weird, I know, to care about this but it seemed literally hard to read. The typeface perhaps? I then ordered the Oxford World’s Classic edition (paperback with a beautiful red and green print cover) translated by Maude and thoroughly enjoyed the reading experience. Now, of course, this is IMHO but if something like the feel of paper makes a difference to you, you may want to compare. 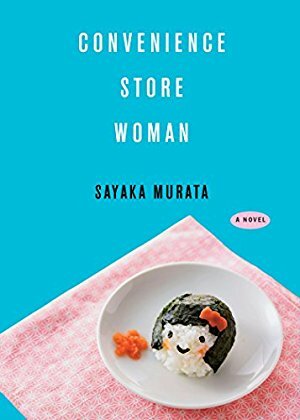 It is an excellent novel, by the way, and I am so glad I read it! Two Tolstoys and no Dostoevsky?! 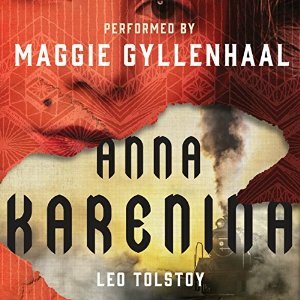 I just finished Brothers Karamazov and really, all I could say at the end was “Hurrah for Karamazov!” As soon as I get over my book hangover I am going to try Anna Karenina. I did learn the importance of a good translation, though. In spite of mine being ponderous the story was amazing. I think I will also try 1Q84 soon. I’d forgotten about it. Thanks as always for the lists! I just finished a modern classic in translation titled “Silence” by Shusaku Endo. Martin Scorsese did a movie adaptation of it 2016. This book will haunt me for years to come. Initially, I thought it was about martyrs and betrayal, but as I continue to mull over it, the theme of grace predominates. By the way, an early guest on WSIRN, listed “Silence” as one of his three favorites. Now I know why. I recently read and enjoyed Orhan Pamuk’s (Turkey’s prolific and Nobel prize winning author) most recent translated novel, The Red-Haired Woman. (Turkish) … don’t read unless you find a new look at the story of Oedipus interesting! I watched The Time in Between on Netflix and loved it so now I need to read the book. I enjoyed The Moonlit Garden by Corinna Bowmann which was translated from German. For the mystery lover who’s read everything, I recommend The Devotion of Suspect X by Keigo Higashino (trans. Alexander O. Smith). It’s hard for a mystery to pull one over on me at this point, and I was floored. Fun to see this list. 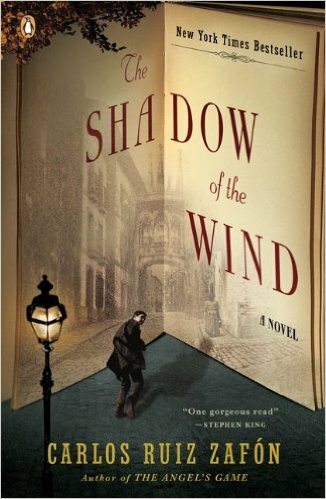 I really want to read The Shadow of the Wind. 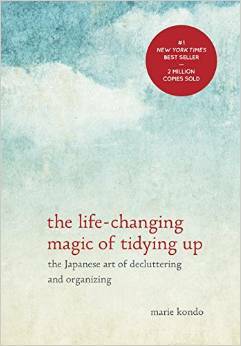 I’ve already enjoyed The Life Changing Magic of Tidying Up, The Little Prince, and The Alchemist; and just started My Brilliant Friend last night! Ooh, and I forgot to also share On the Cold Coasts by Viborg Davidsdottir, which I really enjoyed. I picked up Elegance of the Hedgehog, because when my son was young, he campaigning for a pet hedgehog. It felt appropriate. It is one of my favorites. I think the cat was named Leo for Leo Tolstoy. 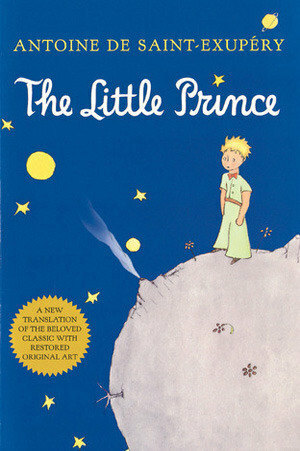 I can still “see” this book in my mind even though I honestly cannot remember the names of all the characters. 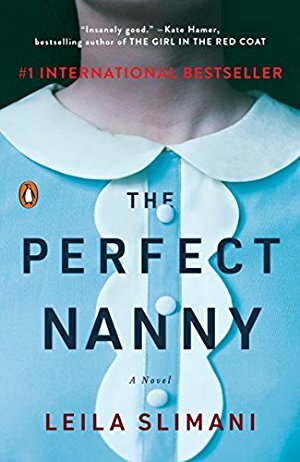 Fredrik Backman is my new favorite author. Bear Town is on my list. I have devoured A Man Called Ove, Britt Marie Was Here, and My Grandmother Asked Me to Tell You She’s Story all in the past year. It’s the characters in all of the above. The feel so relatable. I go on author jags and I am thinking about heading back to childhood and Alexadre Dumas. I read through The Three Musketeers, The Man in the Iron Mask, The Count of Monte Cristo all in one summer I think. Author jags, Alexandre Dumas, Leon Uris, John Irving, and most recently Fredrik Backman. I know im late for this comment but i have wanted to answer it but due to a severe cold, i have not succeded yet. But here i come, living in a country Sweden with 9 milj inhabitants and on own language, we are almost always forced to read translations. Yes, the last years has been what may be seen as a explosion in swedish female(and some men) chrime writers. You even have some mentioned above. Camilla Läckberg who i am not so fond of. 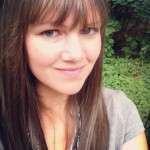 There are a lot better ones out there from other writer as Denise Rudberg, among others. As above the 60th year mark i have read books in english for at least 40 years. I realised when reading James Clavells Shogun that i had started to read in English but then thought it to hard to read for me, and then started to read the swedish version i realized that the swedish was 3 chapters shorter. Yes the translater had thought the swedish readers is not fond of the catholic way of thinking and got rid of it. I found out that this is a possibility for tranlater as a way of making people more at home in a story. This is not the first time, i dont know if most of you are old enough to remember the book First Among Equals by Jeffrey Archer. He had to write two different ends, one for the readers in USA and one for the UK readers. But to read an orginal book is for me a treat, my fluency in your language is now better and as i have a Kindle now 95 % of all i read is en english. I even read the Tolstoy books in enlish even if i have it in swedish. What i get well, new more modern words, i alse realized that in modern USA is full of acronyms, i got an icon for that on my tablet. So yes read translations for it makes you widen your perspectives and see that people live around the world and almost all are satiesfied in their own way.